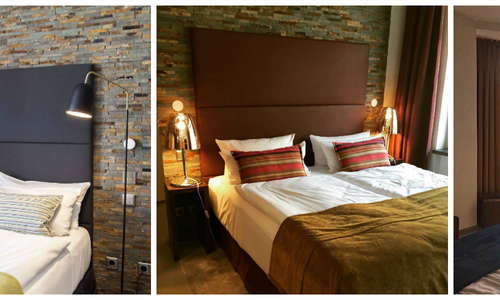 This designer apartment hotel in hip Mitte is coveted for its discreet service and great minimalist design. All apartments come with a fully equipped kitchenette, satellite TV and there's even a laundry room with washers and dryers. Rooms seem as if they were designed for a Miami Beach hotel, decorated either in off-white or subdued browns with pops of neon pink, acid green and bright blue. A restaurant and bar, stylish fashion store, and a coffee bar are also on the premises. 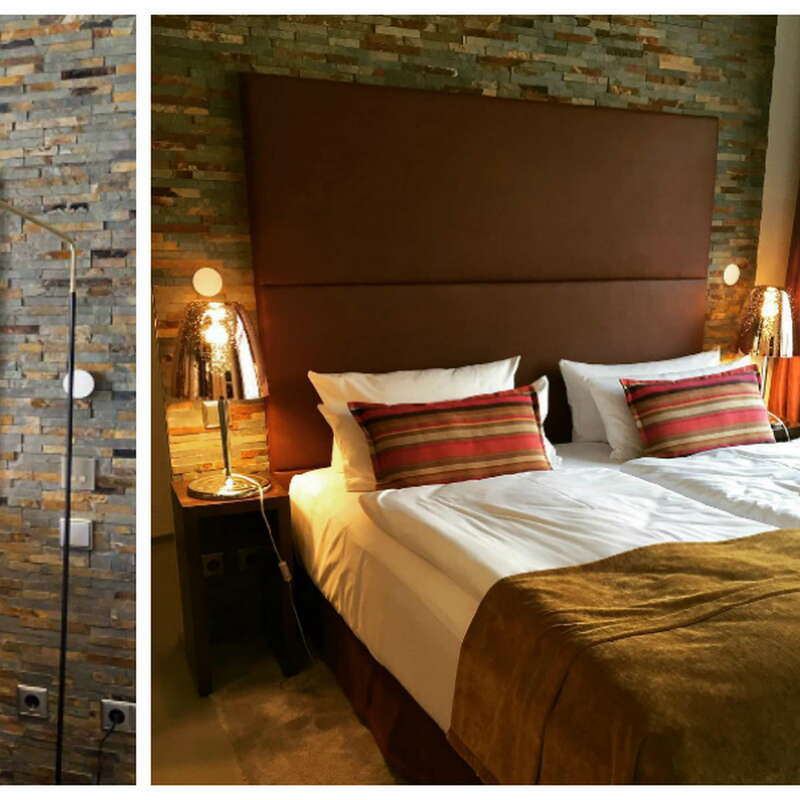 Sleek, minimalist décor in warm browns and soft grays, the spacious rooms all have kitchenettes with a microwave, fridge and dishwasher. Larger suites have a separate living area. Some rooms have balconies. The sprawling Penthouse Suite has its own sauna, gym and fireplace. Modern bathrooms have large rainforest showers and lighted makeup mirrors. The industrial-chic reception area has a smattering of seats, but there’s no real common spaces. The adjacent concept store Type Hype has a small coffee bar, Milchbar, serving premium roasts, organic milk and sandwiches. Also next door, the lounge-like Prince restaurant serves creative Asian tapas, including a nice selection of curries. YOU SHOULD KNOW A breakfast is served in the Prince restaurant or you can order room service from the Type Hype "milchbar." The Prince bar in the adjacent Prince restaurant offers a nice selection of cocktails. 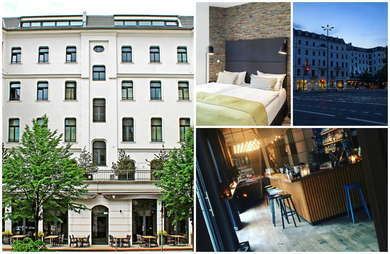 The hotel is an 8-minute walk from the transportation hub of Alexanderplatz, with S- and U-Bahn service as well as trams and busses. Set in a former Jewish girls’ school, Pauly Saal (15-minute walk) is one of the city’s top dining spots, with excellent modern German cuisine served in a gorgeous art deco space. Wander through the courtyards of Heckmann Höfe and you’ll discover all kinds of nifty boutiques and smart restaurants, among them is Night Kitchen (17-minute walk), which turns out beautifully executed Mediterranean-tinged cuisine in a warm, rustic setting. Tucked inside a former GDR skyscraper near Alexanderplatz, the 70s-style gem Beate Uwe (16-minute walk) spins retro and electronic music Friday to Sunday. The rustic Redwood Bar (20-minute walk) uses quirky ingredients like plum jam and violet schnapps to mix up tasty, unusual libations. The stylish, open-plan rooms, friendly service and perks like a full laundry room make Lux 11 stand out among other hotels in the Mitte area. The courtyard-facing rooms have balconies and offer a quiet refuge in this bustling, centrally located neighborhood.